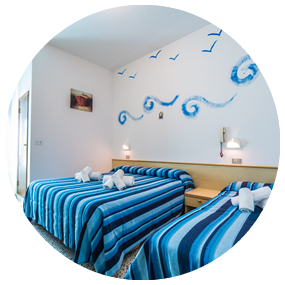 Our hotel’s comfortable, clean and well-kept bedrooms are all provided with: Private bathroom with shower box and hair-dryer, TV, air conditioning included in the price, balcony. 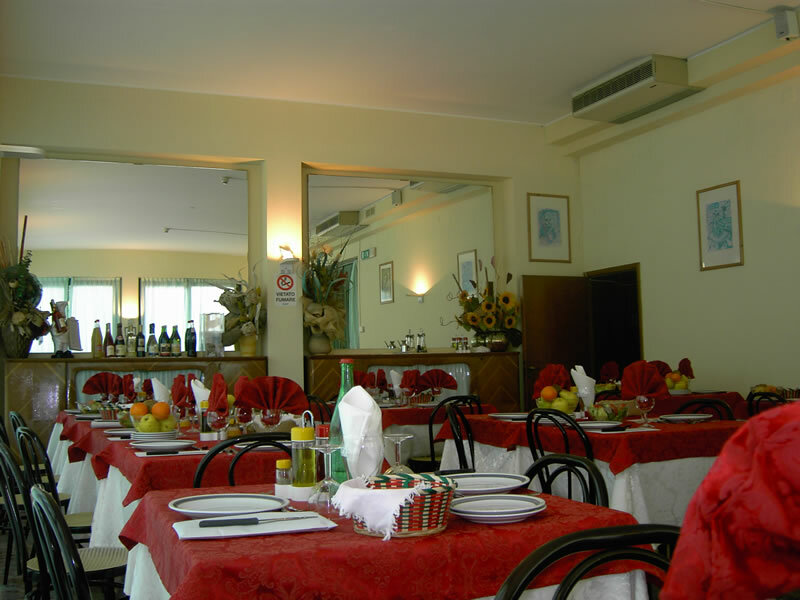 Our air-conditioned restaurant serves exquisite cuisine and delicious choice menus. Every day, guests will have the possibility to taste authentic regional specialities and mouth-watering fish and meat first courses and second courses that are always accompanied by rich vegetable buffets. Every day, a rich buffet-style breakfast is served that is based on homemade biscuits and cakes, genuine marmalade, fruit juices, milk, tea, coffee, chocolate and plenty of further mouth-watering delicacies.